We've been looking at ways to make getting started with Meetifyr even easier, so today we've added a new check list for new events. Its just a list of the main thinks to do when creating an event which get ticked off once they're done. We've made a couple of small changes to our homepage today. Firstly to incorporate more of the good press we're getting and also to try and spell more clearly what Meetifyr is about - Getting Your Friends Together! We've made a few changes at Meetifyr, cleaning up the interface to make it even easier to use and also throwing in a couple of new features for good measure. The main addition is the introduction of maps to the event page, you can now add a map and place a marker to show everyone where you're meeting up. Like anything on the event page the map can be updated by anyone or removed if not required. 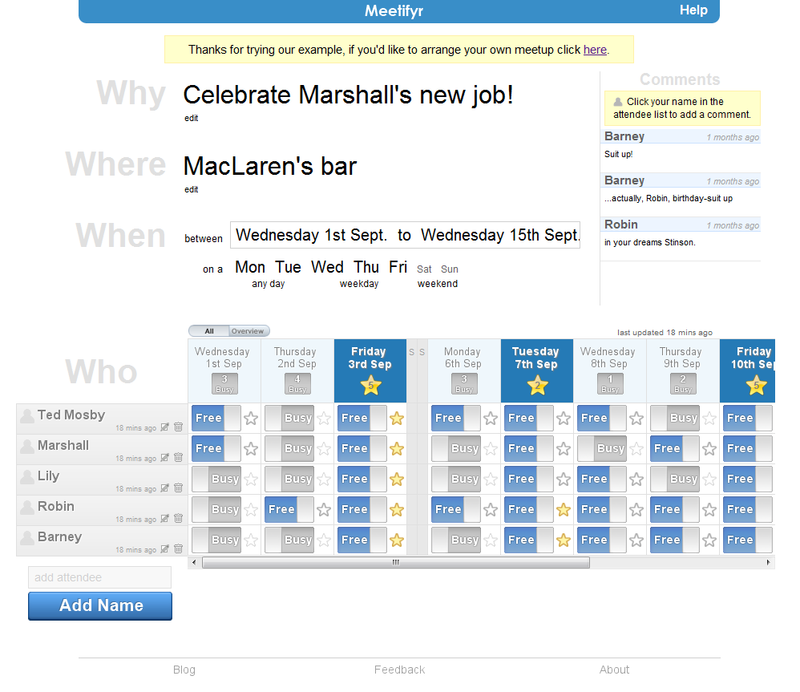 We've also added a description field which can be used to provide any extra information about your event. As much for the sake of posterity I wanted to show how the event page in Meetifyr has evolved since its launch in Feburary 2010. 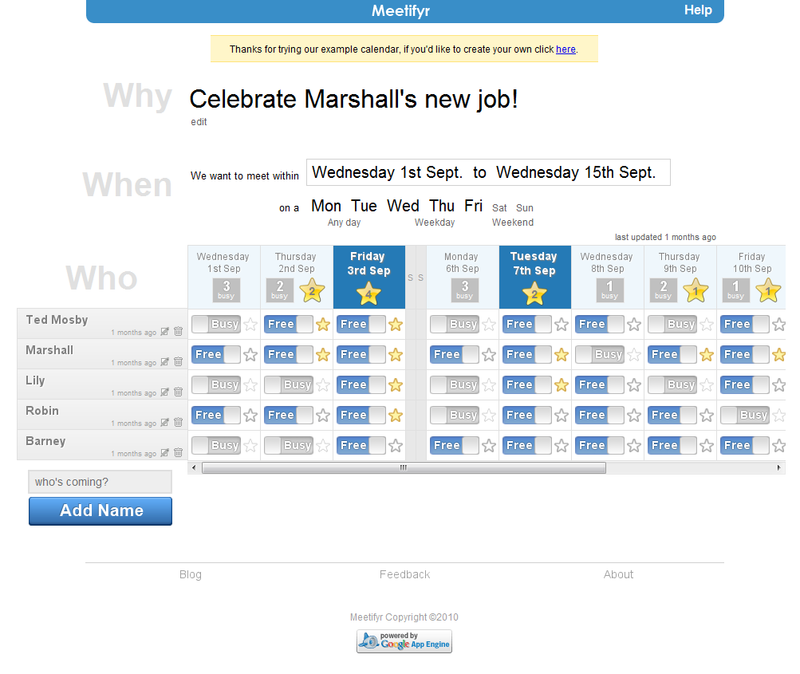 So here are some screenshots of our example calendar as viewed by successive versions of the app - enjoy! 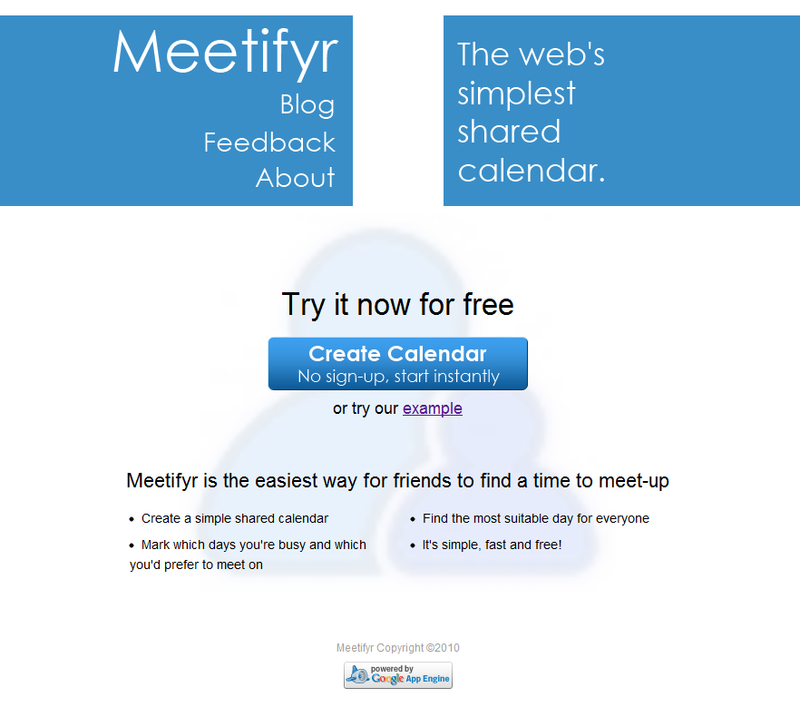 The homepage at Meetifyr.com hasn't changed quite as much but here are the main revisions its gone through. 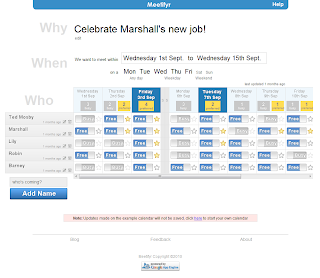 It's been our most requested feature and a long time coming so today we're delighted to announce that you can now specify times of the day to meet rather just individual days. It incredibility simple to use, just click 'add a time' then either select one of the listed times or enter your own. 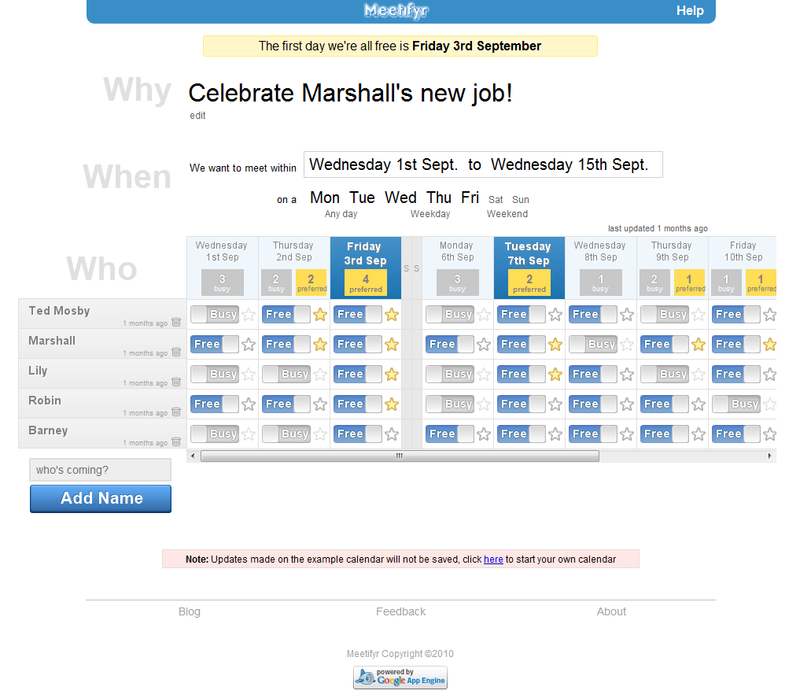 Once a time has been set there's a few options to help manage times across all days. 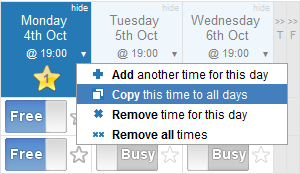 You can copy the selected time across all days, remove the selected time or remove all times for the calendar. There's also an option to add another time for a particular day, this allows you to have multiple occurrence of the same day but at different times. Previously in Meetifyr you selected a date range within which to meet then narrowed it down by which days of the week you'd like to try and meet on. This was fine when you wanted to meet "on a weekend in the next 4 weeks" or "a Wednesday, Thursday or Friday sometime next month" but not so great when only specific days in specific weeks are good i.e. "on Monday or Tuesday this week or Wednesday or Thursday or Friday next week". 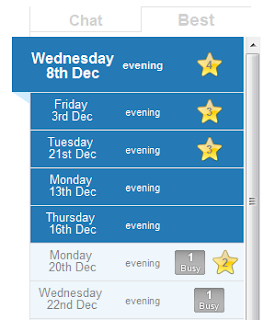 So today we've introduced a new feature which allows you to show or hide any specific day within the available date range. Its incredibility simple to use, just click the << link in the top right-hand corner of an available date to hide it or click the >> link at the top of a hidden date to make it available again, what could be simpler! We've been very busy behind the scenes of Meetifyr making changes to how events are stored. The reason for these changes was to give us more flexibility in how events are structured so that we can move forward with features we know users are waiting for. One fortunate side effect of the changes is that there's a noticeable speed increase across the site due to us making better use of Google App Engine's data storage, which can only be a good thing! 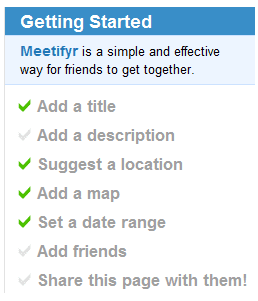 So with that work behind us we can continue adding features and strive to make Meetifyr the easiest way for friends to arrange a meetup. We've added a new help page to Meetifyr today, it's basically a quick start guide to setting up an event. Meetifyr is still pretty simple so as you can image the guide is quite short! We've also made a few subtle changes to the main calendar page, the Free/Busy selectors now fill more of thier cells which we hope will break up the white space and make it easier to see what's happening at a glance. 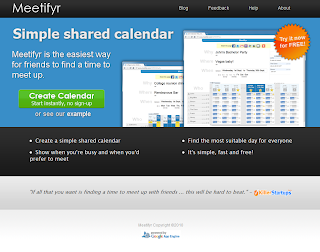 Today we've added a new feature, Comments, anyone can now add comments to any calendar on Meetifyr. 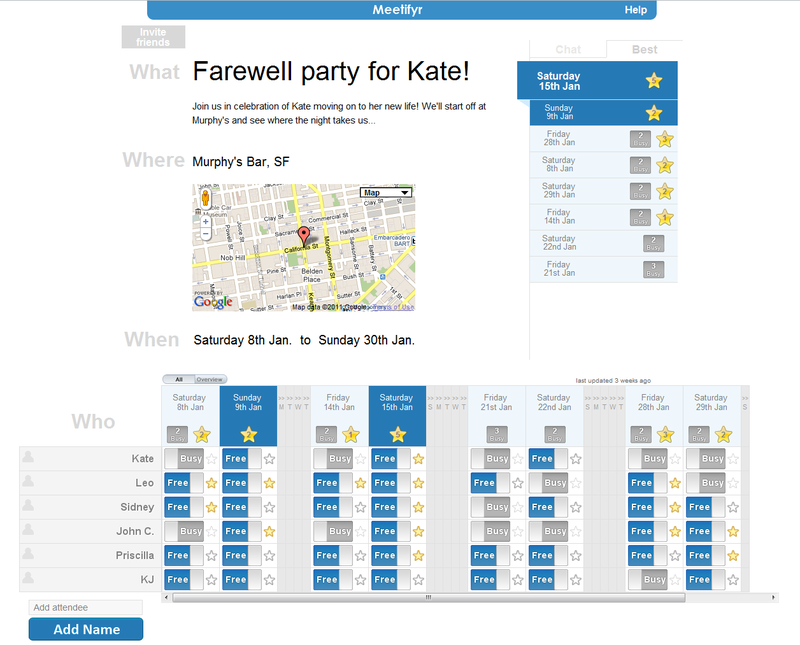 The idea is to give all the people involved in a meetup somewhere to make notes or share a discussion, maybe discuss which bar you're going to or say what time you're going to arrive. 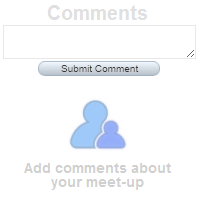 To add a comment you just need to click your name in the list of people attending and enter what you want to say. Once you've clicked your name we remember who you are so the next time you view that calendar you'll already be selected. This also means we know when someone re-visits a calendar, which we hope to build new personalised features with, like 'Show me everything that's changed since I last visited' or 'Link my availability across calendars'. 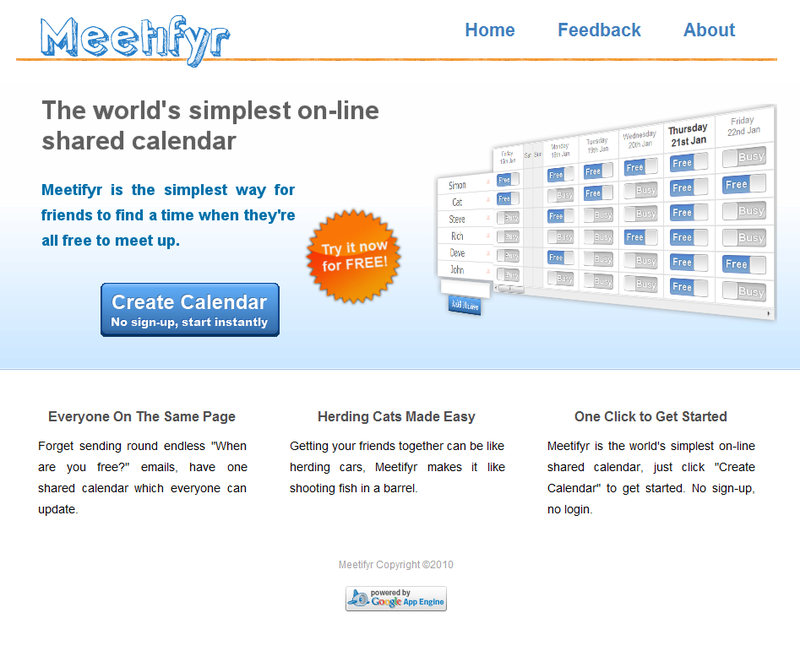 As ever, if you have any ideas for new features or things you'd like to see Meetifyr do then please let us know. One of the first feature requests we got after the launch of Meetifyr was to add a 'Where' field alongside the 'Why', 'When' and 'Who'. Its such an obvious request I've no idea why we haven't added it sooner. Anyway here it is, pretty self explanatory. We also took this opportunity to make a few teaks to the design hopefully making things a bit cleaner and more consistent. We've been noticing for large calendars with lots of busy people it can be difficult to see who's free when and generally what's going on. 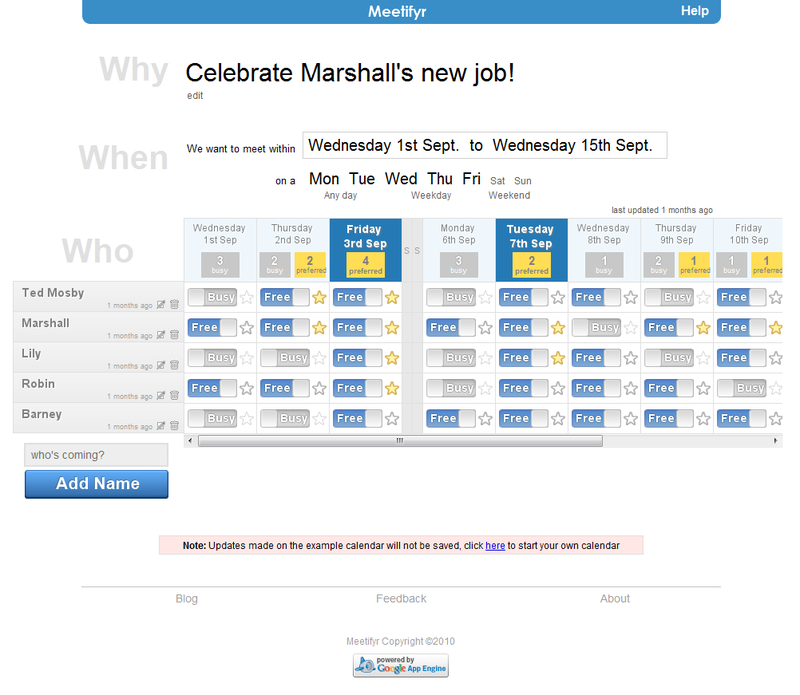 To help with this we've just added a new Overview switch which gives you an uncluttered read-only view of everyone's availability. Once a calendar starts getting busy and you need to see which date is best for everyone try selecting Overview for a clearer picture. 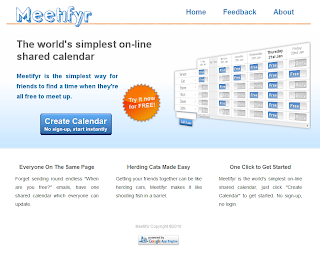 The main idea of Meetifyr is that people create a calendar, fill out their availability then send the calendar round to friends so they can do the same. Up until now we've not provided a easy way for you to share the link to your calendar, we expected people to copy and paste the Url into email/Twitter/Facebook and distribute it themselves. 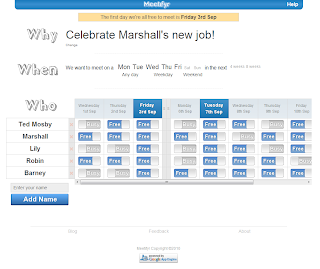 Today we've added the fantastic AddThis widget to all calendars so you can now share your calendar with incredible ease. AddThis is the #1 web bookmarking and sharing service and allows you to share a link instantly through any of their 293(!) registered services. 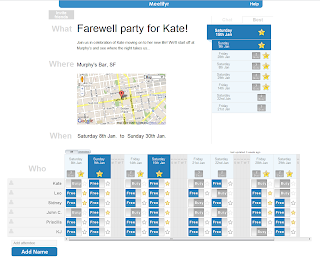 The simplicity of the AddThis service works well with Meetifyr and now makes it even easier for you to arrange that meet-up with friends. What are you waiting for! 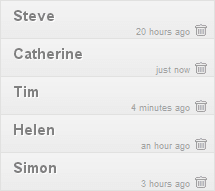 Just a small change which we hope you'll find useful, you can now edit an attendee's name after its been created. 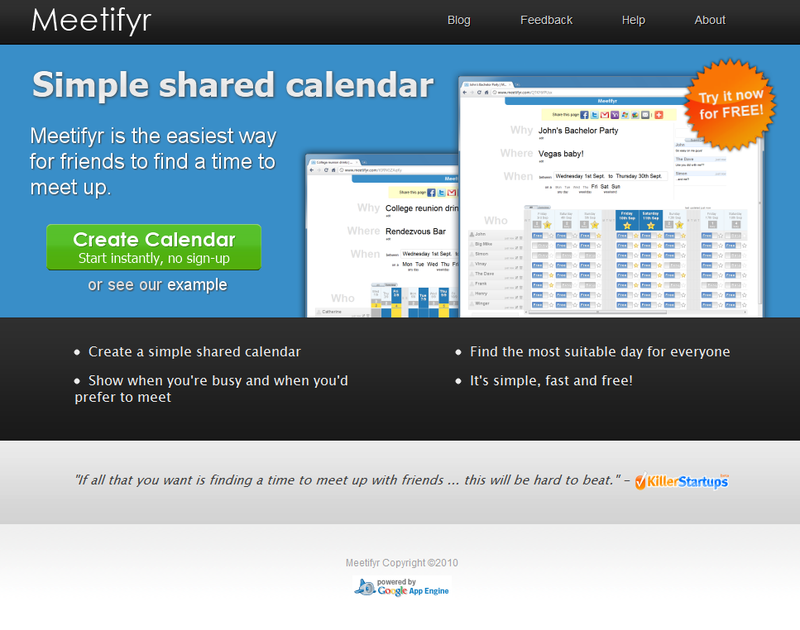 We've also removed the helper panel at the top of the calendar page which showed the first day everyone was available. We decided this wasn't giving much value since its just as easy to scan the column headings to see the first one with nobody set to busy. Also the first day everyone is free might not necessarily be the best day to meet up. I intend to write a further blog post to elaborate on this but any thoughts in the mean time please let us know. 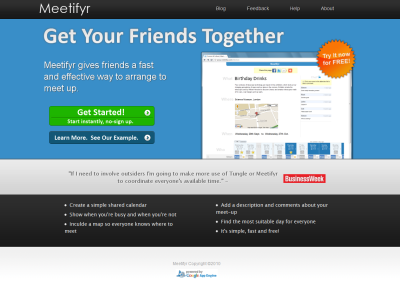 Today we've updated the look and feel of the Meetifyr homepage and made a couple of minor changes to other pages. The idea was to get rid of clutter on the page and give a more professional look. We've removed the unnecessary 'marketing' text and put a focus on getting users to actually try the app to see if they like it. We hope you like it. 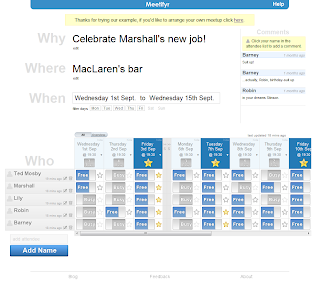 There's been a couple of changes to Meetifyr recently, the biggest of which is the ability for an attendee to specify a day as 'preferred'. This allows them to say "although I'm free for this event on several days, these are the days that suit me best'. So for a particular day an attendee can be either one of three states; Busy, Free, Free + Preferred. 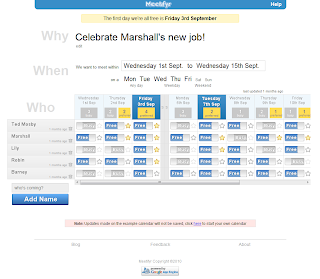 The idea is that adding this extra option will better enable people to find a day which suits everyone best. 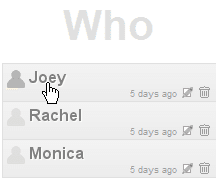 To accompany this option we now total the number of Busy and Preferred people in the column headers. 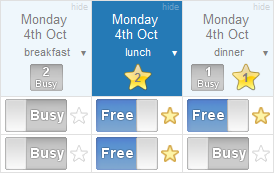 This was already a feature that had been suggested through user feedback but with the introduction of the Preferred option it was even more important to clearly show how well a particular day suits everyone. The other change we've made is to start showing the last time an update was made to a particular attendee and also the last time a calendar was updated (we also took this opportunity to improve the look of the attendee list). Again this was a suggestion from user feedback with the aim of making it clearer to see what had changed since the calendar was last viewed. We'd like to take this idea further and give a more personalised view of what has changed since someone viewed a calendar but first to make this possible we need to start identifying users, either through logging-on or cookies. If you have any thoughts on this feature or any others please let us know. With Meetifyr attracting more and more users its becoming increasingly important we don't introduce bugs or break things when trying to improve the site. Previously we've been manually testing everything before releasing to the world. This is acceptable when there's not much to the site but soon becomes laborious and in turn less effective with more functionality or when you're trying to release regularly. To reduce this burden of manual testing we're started to use the Watir browser automation framework. Using Watir we can write a few scripts in Ruby to test everything works on the site as it should. Our full suite of tests run in under a couple of minutes and give us confidence we've not broken anything to badly in the name of progress. The bottom line to this is that we can now make changes to the site with more confidence, which means more regular changes and so you should see the site improve quicker. A quick search on Google for 'Meetifyr' currently returns 15k results. A statistic like this doesn't mean much but the first few pages of results do have links to meaningful reviews or listings for the site. Its comforting to know we're not being ignored, after all, the only bad feedback is no feedback at all! 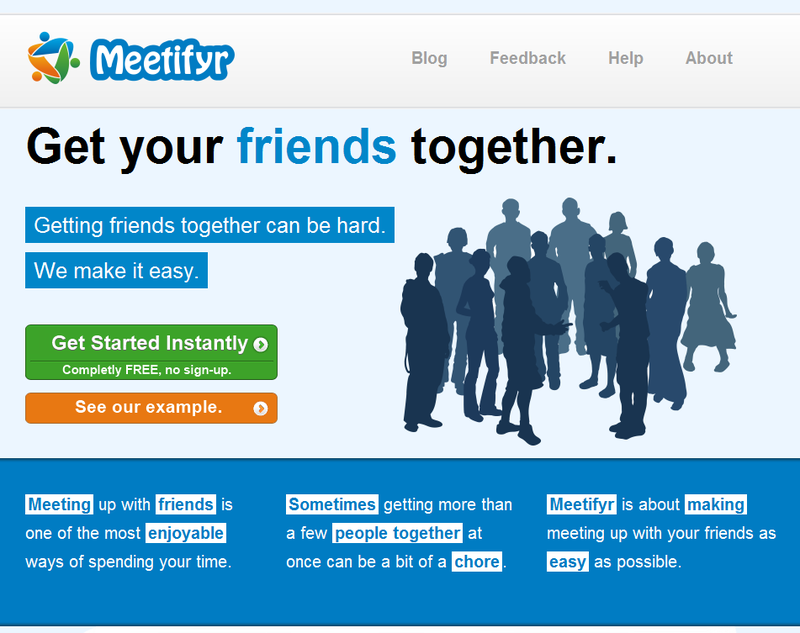 As you may have noticed Meetifyr is all about being the easiest way for friends to find a time to meet. In this post I want to put a little flesh on that idea to see what it really means. 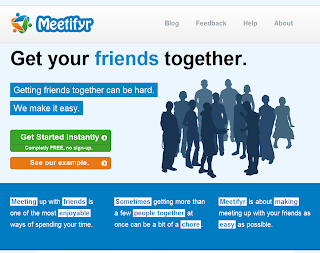 The first thing of note is that we're all about friends meeting up, you could use Meetifyr to schedule a busniess meeting or a sales call but that's not what its about. 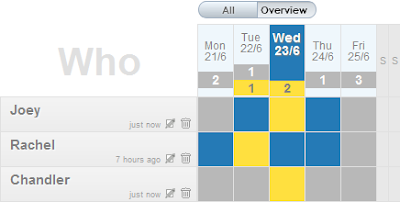 There's loads of great tools for schduling meetings, they let you specify the specific dates and times you want to meet, intergrate with existing calendars then have clever email notifications to drive the process along. This's great for a formal meeting but do a group of friends really need that? When I'm arranging to meet friends for a beer I usually email them with "Beers, this weekend?" 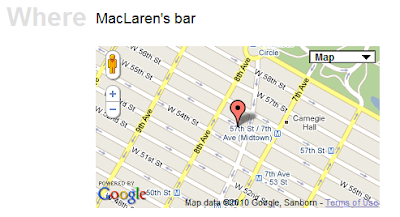 not "Beers, Saturday: 7:30pm - 11:00pm or Sunday: 7:30pm - 11:00pm?". 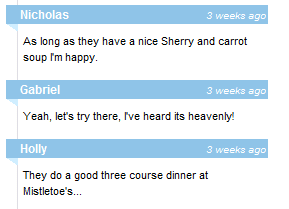 Its assumed I'm talking about the evening since the last eighteen times I've met those friends it was in the evening! By removing these implied conventions we can make setting up the meeting much simpler. This lightweight approach to arranging people might not be applicated in all cases but when it comes to organising friends, we hope its the simplest! 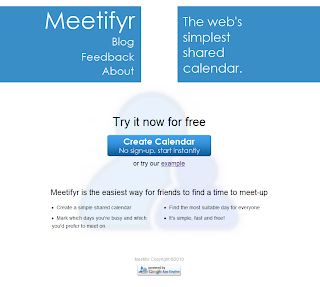 Within a few days of Meetifyr getting some real users it became clear there was one feature sorely missing, the ability to specify the exact date range when people wanted to meet. I sort of knew the options of the next 4 or 8 weeks weren't going to be enough but the plan was to get something simple released early and react to user feedback. So I'm pleased announce that as of today you can specify the exact dates within which you want to meet. The feature itself is pretty self-explanatory I hope, just click the date range text then either select one of the predefined date ranges or select a 'custom range'. Thanks to all those who have given feedback and I hope your happy with the result. And please, keep the feedback coming!